Look at those adorable bat ears! Hi everyone! 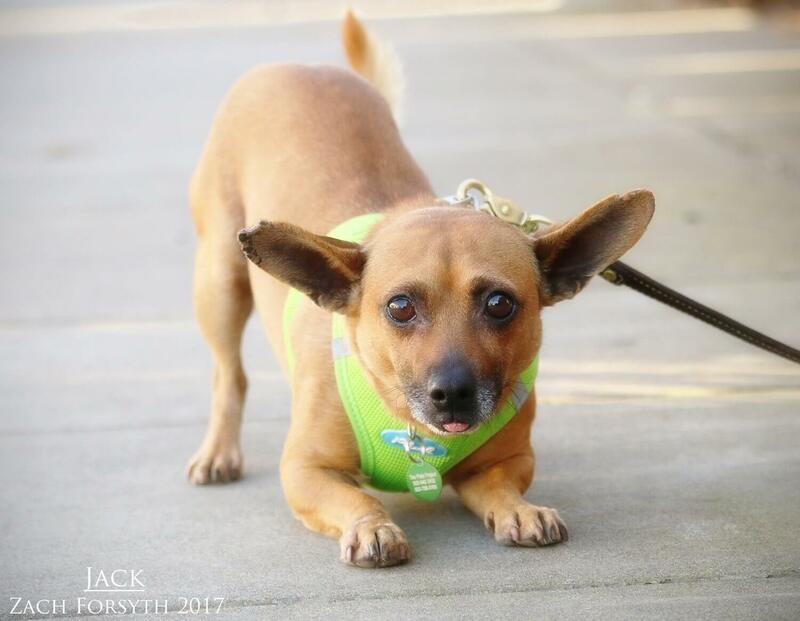 My name is Colby Jack and I am an adorable 1.5 year old, 11lb terrier mix here to steal your heart. This city life is all so new to me, so I can be a little shy at first. But don’t let that fool you! Because once we have some time to hang out, I am a super energetic guy eager to bond. I just love to play fetch with my favorite squeaker toys, as I zoom around the play yard from left to right until I finally catch that toy! Because I am little sensitive to city life, I would prefer to be in a quiet low key neighborhood, as the bustle of apartment city life is overwhelming to me. I am quite the ladies man and love playing with my female puppy pals. So a lady in the house would be alright by me! I need to be in a cat free home with kids over 10. With a little patience and a few treats, I am a lovable goofball ready to play! Care to join me? Fill out an application today, so we can meet! I come to you neutered, vaccinated, and micro-chipped with an adoption fee of $300.